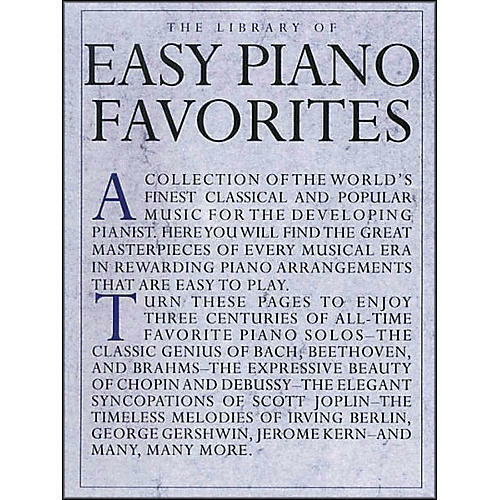 A collection of the world's finest classical and popular music for the developing pianist. Masterpieces of every musical era in rewarding piano arrangements that are easy to play. Include favorite piano solos by Bach, Chopin, Scott Joplin, George Gershwin, and many more.